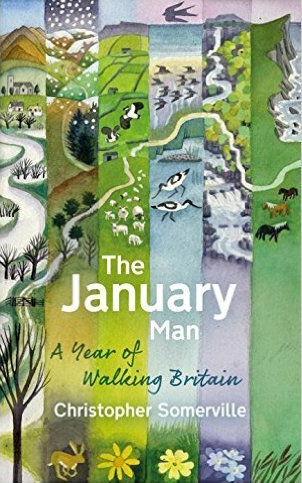 The January Man (shortlisted for Wainwright and Richard Jefferies prizes) – Christopher’s much-praised account of a year’s walking and nature watching in Britain, out in paperback. 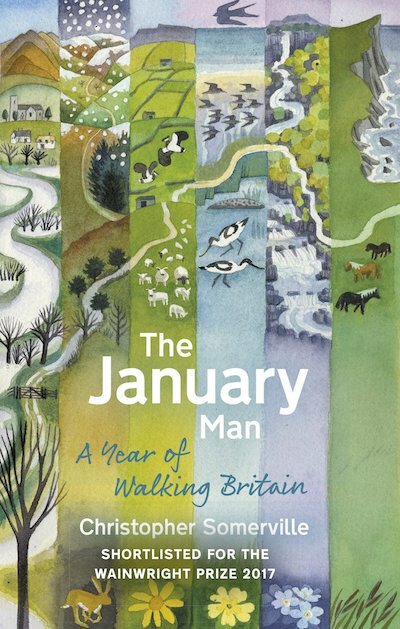 The January Man is the story of a year of walks that was inspired by a song, Dave Goulder’s ‘The January Man’. Christopher describes the circle of the seasons around the British Isles, each month in its own unique setting – January in the winter floodlands of the River Severn where he grew up, March in the lambing pastures of Nidderdale, May amid the rare spring flowers of Teesdale, June along towering seabird cliffs on the remote Shetland island of Foula, September among the ancient oaks of Sherwood Forest. Flowers and birds, sensational landscapes and remote corners of country, winter and rough weather, shepherds, musicians and farmers, Robin Hood and the Green Man – they’re all here in this powerful evocation of the countryside, its treasures and secrets, and its cycle of life, death and rebirth. The walks and landscapes of The January Man are interwoven with meditations on the relationships between people of Christopher Somerville’s post-war generation and their reticent fathers. Christopher’s father John, a senior civil servant at the secret GCHQ establishment in Cheltenham, never spoke about his work or his wartime experiences. But he was a great walker during his lifetime, and it was through walking and talking that he began to open up to his son as they drew closer to one another. As he walks the land through the cycle of the seasons, ten years after John’s death, Christopher comes to appreciate and understand the man that his father really was, as he reflects on the circle of his life. 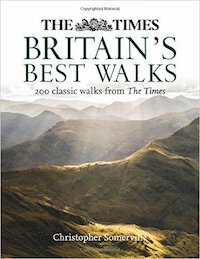 Times Britain’s Best Walks – 200 walks all over these islands, this paperback edition offers the cream of Christopher’s long-running ‘A Good Walk’ column in The Times. At long, long last! 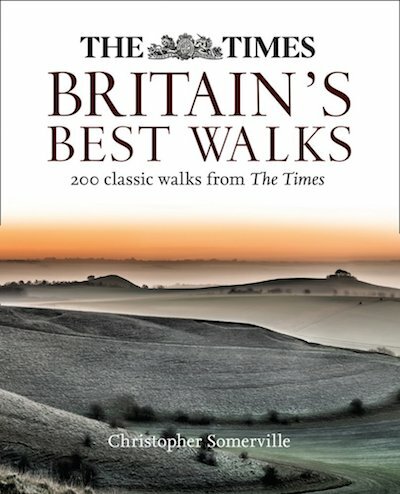 – 200 of the best of Christopher’s ‘A Good Walk’ walks from The Times, gathered between covers. Lovely photos (many by Christopher’s wife Jane), maps, detailed directions, where to eat/drink etc., how to get there – and of course, Christopher’s lyrical descriptions of landscape, nature, history and people. 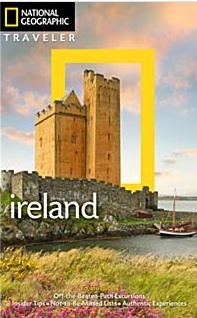 A 4th edition of this top-selling guidebook to Ireland is just out. ‘This book and Map was amazing!! It had EVERTHING on it. 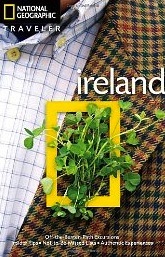 I took 4 guide books with us; Rick Steve’s, Ireland for Dummies, Back Roads of Ireland, and this one. I never used any of the other books but this one. It have everything we needed and more. The other books seemed to be promoting areas that were not that great, This book highlighted some of the most amazing places that were off the beaten path of the main tourist areas.’ – Amazon review of 3rd edition by ‘Samantha’, 1 July 2014. Hooray! 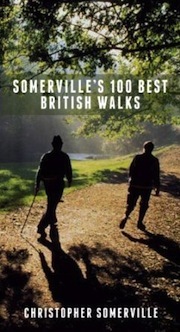 Haus Publishing have produced a new paperback of ‘Somerville’s 100 Best Walks’, a collection (first published in 2009) of some of the best walks I did during my 17-year stint as Walking Correspondent of The Daily Telegraph. Entitled ‘Somerville’s 100 Best British Walks’, the new version (in weatherproof laminated covers) is smaller, lighter and more handy, but still contains all the walks complete with their wonderful hand-drawn illustrated maps by Claire Littlejohn. ‘Where To See Wildlife …’ brings together the very best places you can see wildlife in Britain and Ireland – 826 of them, from famous national nature reserves to local sites, hillsides, woodlands, marshes and mountains. The wildlife of the British Isles is just about the most diverse and fascinating in the world for such a small archipelago. Chalkhill blue butterflies, early purple orchids, golden eagles, spawning salmon, otters, thousands of insects and fungi … We value and admire these beautiful creatures and plants – but where can we actually find them? Where, near your house or your holiday cottage or campsite, can you go to smell a fragrant orchid, see a rare large blue butterfly mating, or hear the roar of a rutting stag or the babble of ten thousand dunlin on a tideline? 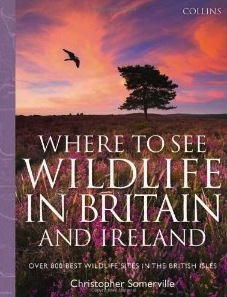 ‘Where To See Wildlife …’ tells you exactly where. Each of these sites is individually and evocatively described, and enhanced with how-to-get-there directions, conservation designations, and information on facilities, refreshments and much else. 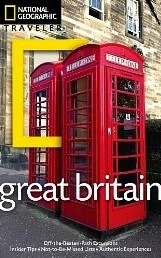 Superb colour photos and maps, too. This book is a practical tool as much as a treasure-chest of descriptions. Keep it in the car or by the bed; take it with you on holiday or work trips; put it in with the bird-watching binoculars and walking boots. A new edition (the 3rd), part of the very highly respected National Geographic Traveler series, which I’ve updated and enhanced with lots of ‘Experience’ and ‘Tips’ panels – how and where to experience everything from watching a cricket match to joining in a Scottish ceilidh, hunting for Ice Age flora to taking a guided walk in Snowdonia. discovering Dublin’s great pubs to viewing the gable-end murals of Belfast, and from cookery classes at famed Ballymaloe in Counbty Cork to taking a seaweed bath in County Mayo! 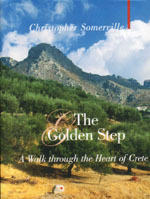 Christopher’s much-acclaimed account of his 300-mile walk across Crete has gone into another, larger-format edition. New and improved – 25 walks from railway stations (4 of them new, all of them re-walked – thank you for your help, Ruth!) in the beautiful countryside just outside London. Kentish apple blossom, Surrey lanes, Buckinghamshire beech woods, Essex wildfowl creeks – they’re all here. 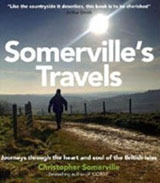 Somerville’s Travels’ (AA Publishing – see below), Christopher’s account of 20 journeys at slow pace through Britain from Land’s End to Shetland, has been reissued as an ebook with a new and maybe better title – ‘Slow Travels Around Britain’. Here’s your chance to kick back with Christopher on your Kindle! 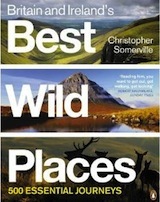 That’s what the critics said about Christopher’s best-selling guide to 500 wild excursions, ‘Britain and Ireland’s Best Wild Places’. Now it’s out in paperback! Walking has never been a more popular pastime and nowhere is more beautiful for walkers to explore than Ireland. 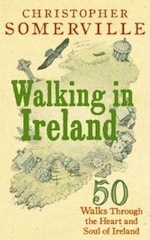 In this beautifully written and superbly researched guide, Christopher Somerville draws on his very popular column for the “Irish Independent”, to present 50 of the very best walks in Ireland – from the Nephin Beg Mountains in Sligo in the North to Dingle Way in Kerry in the South. 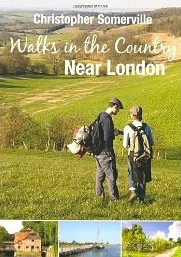 Practical instructions for the walks are married with evocative and informative passages on the history, flora and fauna, culture and topography of the land. Whether it’s exploring the Burren in its floral glory or seeing the Walls of Derry, or even sitting at home in your armchair planning your next walk, this book will prove popular with walkers, holiday makers and anyone who loves the Irish landscape. I’ve written Never Eat Shredded Wheat for everyone who – like me – found schoolroom Geography a boring parade of facts and figures, or who has forgotten most of what they did learn, or who has come to rely so heavily on Sat Nav that they’ve stopped noticing the landmarks that make our wonderful country such a pleasure to explore. We are so insulated from the real world when we’re in the car, plane or train, so plugged into iPods, stereos, CDs, phones and laptops, that we are in danger of becoming the best-travelled and worst-orientated Britons ever known. Let’s reconnect with the Geography of our islands – their look and feel, what made them and shaped them, where everything is, and why it’s there. Let’s celebrate the journey, and let’s arrive enriched and bewitched, with all our five senses tingling! Never Eat Shredded Wheat takes you exploring the coasts and islands, the rivers and rocks, the cities and counties of Britain, from the Thames Estuary to the Irish Sea and from Rockall to Land’s End. It’s packed with facts and stories, anecdotes and jokes and ‘did-you-know’s. There’s a huge, 200-question Pub Quiz to test your knowledge and get one up on your friends. And the whole book is delightfully illustrated with maps and cartoons by my long-term collaborator Claire Littlejohn. This book tells the story of 20 journeys- mostly on foot, but also by bicycle, branch line train, bus, narrowboat and ferry – across very special areas of Britain. Here are remarkable landscapes, travelled by the unfrequented ways that reveal their unique characters – the ancient Cornish coast wrapped in mist, the South Country downs threaded by the oldest road in Britain, post-industrial Birmingham and Stoke explored by canal, the Cheviot Hills on the tracks of cattle-thieves, musicians and murderers, the Shetland Isles and the northernmost point of our idiosyncratic archipelago. Illustrated throughout with colour photos, most taken by Christopher on his journeys. Christopher Somerville has been walking, exploring and writing all over the world for 30 years, and as the Walking Correspondent of the “Daily Telegraph” has written the “Walk of the Month” for over 15 years. This is his selection of his 100 favourite walks. They are to be read individually, as they are a true traveller’s observations of people, places, moods and reflections as they strike him. As a collection, they take the reader on a vivid, moving and unforgettable adventure through Britain, from the A of Angus Glens to not quite the Z but at least Y of York City Walls. 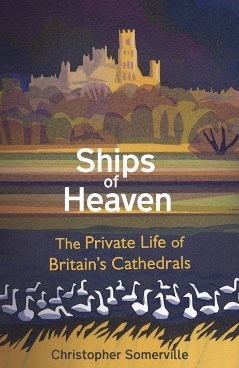 I have had the pleasure of writing the text, the captions and a long poem for this pictorial journey round the coast of Britain by way of sublime aerial photos by Adrian Warren and his wife Dae Sasitorn. These have to be seen to be believed – some of the rock, estuary and shoreline shots are more like collages or sculptures than photos. A real work of art, and it was a tremendous challenge for me to find the words that would enhance rather than weigh down such /images. 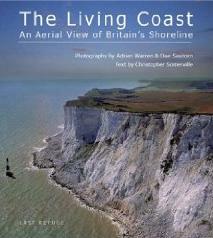 ‘The Living Coast’ is published by Adrian and Dae’s publishing house, Last Refuge. 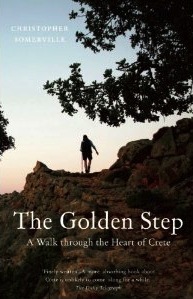 Christopher’s acclaimed account of his end-to-end walk through Crete is now out in paperback! My second collection of poems – 100 of them, all inspired by my travels over the past 10 years. Thank you, Haus Publishing, for taking this on! It isn’t just a solid block of indigestible poems – here are notes and comments to give the context in which each poem was written, so that readers who’d normally run a mile at the thought of reading poetry can enjoy these, while the mystery and magic inherent in poems stays intact. This is a keenly-anticipated treasury of a book, illustrated with over 150 colour photographs and hand-drawn maps, the fruit of Christopher’s 30 years of exploring out-of-the-way places all over Britain and Ireland. Here are 500 Wild Places – overgrown city cemeteries, stormy cliffs and mountains, old quarries filled with orchids, ancient woods loud with nightingales, remote isles off the coasts of Wales, Scotland and Ireland. Lyrical descriptions combine with practical where-to and how-to instructions to make this a unique, indispensable guide to the Wild in these islands in all its forms, out in the wild blue yonder or right there on your doorstep. NB – one of the 500 doesn’t really exist! Can you spot which it is? Visit www.penguin.co.uk/static/cs/uk/0/callofthewild/ to see how you can win a prize … ! 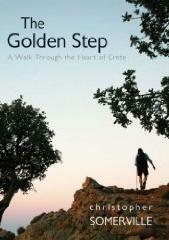 The Golden Step: A Walk Through the Heart of Crete (Haus Publishing 2007) The story of Christopher’s 300-mile walk from end to end of the magical Mediterranean island of Crete – across some of the toughest mountain terrain in Europe, among some of the world’s most fiercely hospitable people. Just finished reading The Golden Step and wanted to say Thank You! I spent just 4 days on Crete this past summer but fell in love and want so much to go back. Then I came across your book in a catalog, ordered it and have just spent two delightful days back on Crete. I’m only an occasional traveler and am more of an ambler, stroller, but I do like good writing and good stories. My son backpacks, climbs and hikes, so I got a second copy of the book to send to him and will look for more of your writing! I almost never write fan letters but was looking to see what else you’d published and found this site. So – Bravo! Best wishes on your walking and writing from an American fan! Oh, dear, Beth – I’ve only just found this!! Thank you so much for your lovely comments. I think Crete is exactly the sort of place you fall in love with, and want to know more and more about. Superb fierce and friendly people, tremendously rugged landscape, and more hospitality than one can possibly repay. I hop you go back many more times and consummate your affair! Thanks, Alison – very pleased you enjoyed it and found it light-hearted! I really had a good time writing it, a bit of a cheeky old romp as you say, and a chance to crack some jokes and share some ridiculous facts. seems to keep dry outdoors in these islands. know you could write a book on this subject alone (and why not! and carrying all your kit on your back? Thanks, would appreciate your input. Keep writing!! Thanks very much for your email and I’m delighted that you’ve enjoyed my book. I have found it basically impossible to stay completely dry. The nearest I’ve come is using a lightweight Rohan anorak (or rain shell or whatever they call them nowadays) which cost about £250 – money well spent. I wear this in combination with Berghaus waterproof trousers that both zip and button up. Boots – I have very sensitive feet, prone to blistering, and I’ve found that Brasher Supalites are the best. They are made of leather but are very light and waterproof if kept regularly waxed. For very boggy ground I wear Mountain Hard Wear gaiters over the waterproof trousers – they fasten with Velcro, so there are no fiddly buckles and straps to do up with frozen fingers! I have recently completed reading the above book, which I thoroughly enjoyed, and would like to thank you for writing such a thoughtful, thought provoking and insightful tome. An ex pat, now in my 81st year and living in Merimbula on the Far South Coast of NSW,Australia. I well recall sleeping most nights in an Anderson shelter at the bottom of the garden in North London, and later a Morrison shelter in the house. Thankfully, we all survived. I am not usually moved to scribing comments but was so moved on this occasion. Thankyou once again for the privilege of being able to read the fruits of your research. What a lovely message to get! Thank you so much for taking the trouble to write. I’m really delighted that you enjoyed ‘Our War’ and were moved by it. I found it remarkable that by 1995, fifty years after the end of the war, no-one had yet collected together the threads of such a unique world-wide story that crossed bounds of race, colour, creed and nationality. It was an extraordinary experience to travel all over the world and have all those men and women decant their stories – some heroic, some ignoble, most of them traumatic in one way or another – into my little Walkman recorder. It changed the way I thought about that generation, and in fact helped me to understand my own parents better. Christopher. I have just finished reading your book and wanted to thank you for the pleasure it gave me. I identified so much with many of your themes. I have just had my 70th. birthday and a keen walker, My father was similar in many ways to your father. Very formal after a busy war. The same reserved manner and the Kiwi polish tins!I am familiar with many of the areas covered in your wonderfully written book. As a young boy in the 1950’s it was thought acceptable to spend all day out on my bike visiting Dawlish Warren, Yarner Wood on Dartmoor or down to Slapton Sands. Those were the days. Brought up in Devon,taught for many years in Shire counties, now living in Worcestershire. The country side around here is wonderful and there is much to see. I was watching a stoat last week on the back of the Malvern Hills and today a red kite flew over my cottage just outside Evesham. I have spread the word amongst my friends. Thanks once again. What a wonderful message to receive – thank you so much. I’m delighted that The January Man rang so many bells with you. That is exactly what I hoped for the book. I felt that a whole generation of men had had incomplete relationships with their fathers, and would respond to what I wanted to say. Lucky you to live where you do! It’s beautiful country.